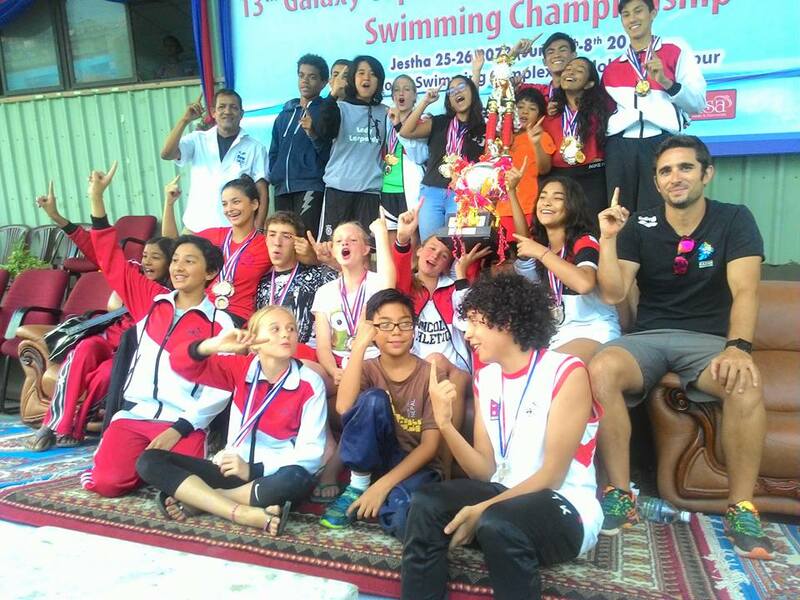 Lincoln Recent News: Lincoln Win Nepal's Galaxy Swim Cup! Despite being on summer break, close to 20 committed Lincoln Swimmers participated in the nationwide 13th Galaxy Swim Cup. It proved a worthwhile endeavor with our swimmers testing their skills, speed and endurance against the best the country has to offer. Time and again, our LS swimmers swept the podium with a vast amount of medals and top individual performances contributing to a resounding Lincoln School win! Congratulations Lincoln swimmers on yet another championship!